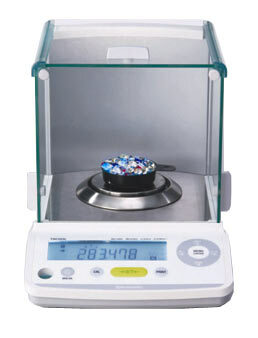 Calibration can be performed any time with a simple push-button operation. A liquid crystal indicator with attractive light blue backlight is standard on all models. 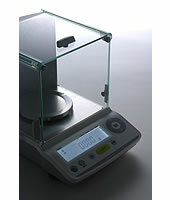 The TWC/TXC series incorporates a one piece aluminum alloy mass sensor technology (UniBloc) first introduced by Shimadzu for precision balances in 1989. It excels in performance, resists deterioration and damage by ordinary impacts. The UniBloc’s compact, uniform structure replaces 70 parts found in a conventional electromagnetic balance sensor assembly and ensures stable temperature characteristics, excellent response time and stable corner-load performance. The UniBloc design permits a consistency of production that assures reliability and a long operational life. TWC/TXC models feature a sliding glass door type windbreak as standard configuration. The highly transparent system includes semi-transparent corners and maximum door opening capability.